Fishnets, mini-skirtsm and bruises, oh my! 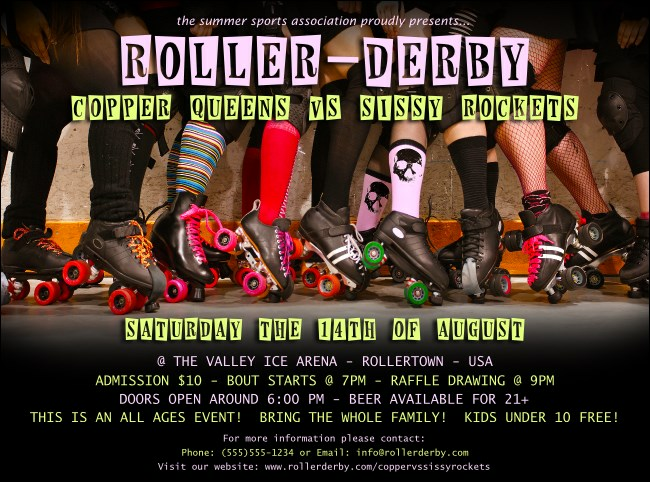 Roller Derby Legs Flyers are the right kind of rough and tumble you need to promote your next bout. Showcasing the lower half of a derby pack with enough muscle tone to make any freshmeat squeal, these ladies are all geared up and ready to roll. Fill in the easy template below with your event details! TicketPrinting.com helps you fight through the pack.